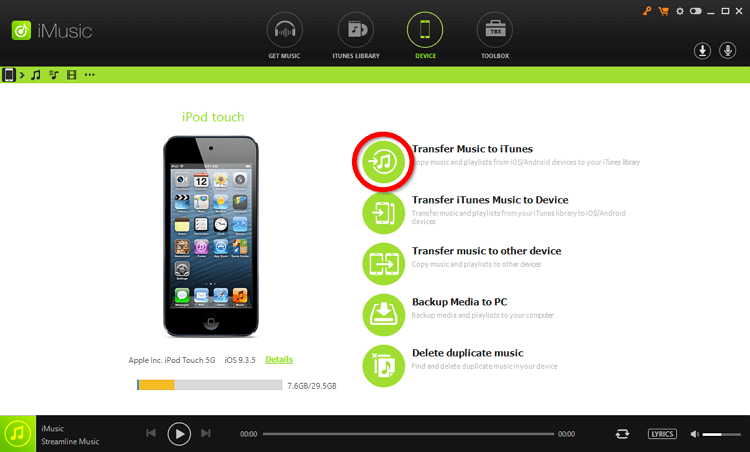 Want to learn how to transfer music from iPod to iTunes on Mac? It’s actually not as complicated as it might appear at first. Of course, you’re going to have to get past the limits imposed by iTunes. However, there’s a very easy trick that we’re going to be teaching you in order to skip that altogether! Make sure to continue reading till the end in order to be introduced to a variety of different programs that you can use to transfer your iPod music onto iTunes! Our first demonstration will be focused on introducing you to how you can use a music transfer program so that you can transfer music from iPod to iTunes on Mac without actually using iTunes! 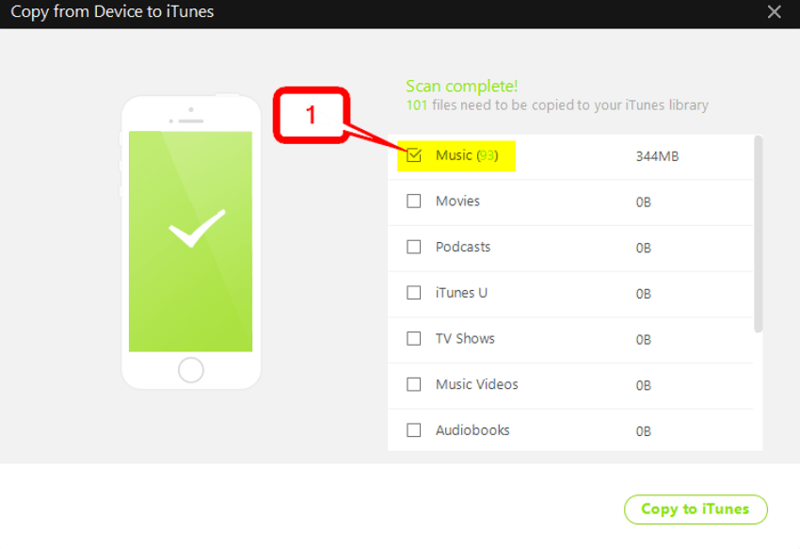 For this step-by-step break down we’re going to go with a software called iMusic. It is, undoubtedly, the best of the best when it comes to quickly and efficiently transferring music from device to iTunes. It’s pretty easy to use too — be it on a Mac or Windows computer. 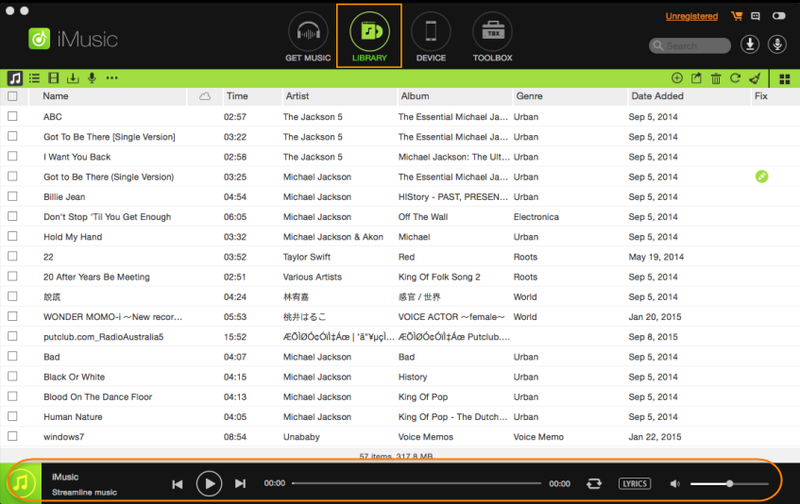 Transfer songs from ipod to iTunes on both Mac & Windows Easily. Available on both Mac and Windows OS. 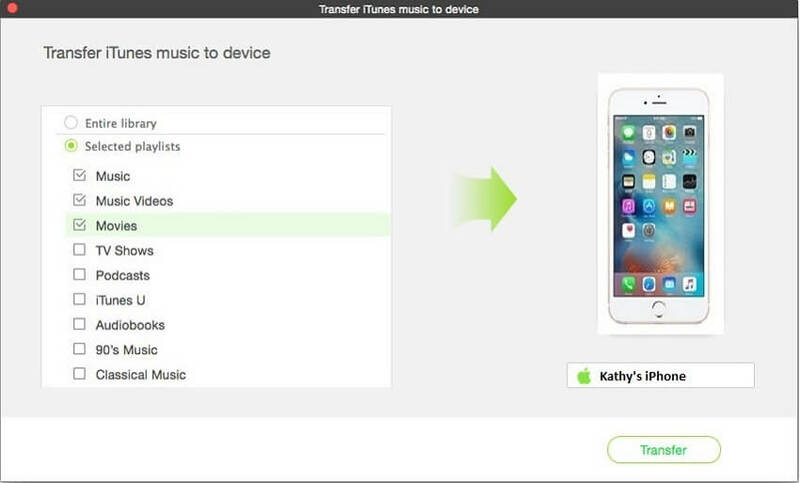 Quick and Easy two-way transfers between iPod and iTunes. Premium Toolkit for managing manual transfers. Device to Device transfer available. Full back up and restoration support. Step 1 — Connect Device! After installing and starting up iMusic (which you can download from here.) You’ll have to connect your device to your PC. iMusic is pretty helpful when it comes with what to do from there. Just select the “DEVICE” tab from the menu and follow the instructions on the page. 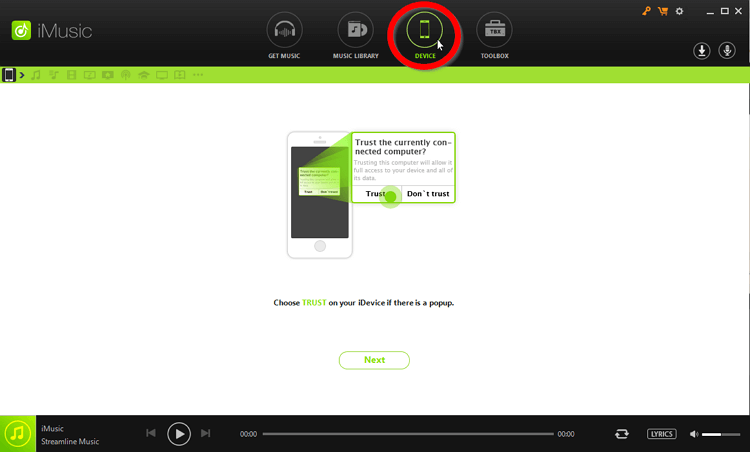 After connecting your iPod to your PC, click the "Device"icon (marked in the image below) in order to access your options. If this is the first time you’re going to be moving files from your iPod to your PC then you might need to approve its access. 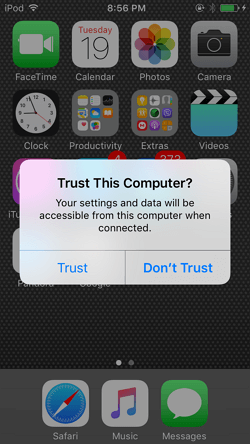 It’s not too difficult, after connecting your device to your PC, simply select the Trust this computer option on the pop-up that appears on your iPod screen. 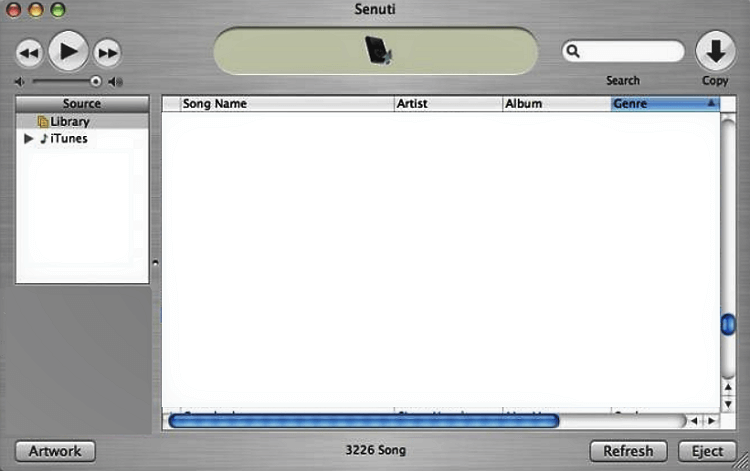 Once your PC has been approved for access, iMusic should have changed to show your iPod (as is shown below.) Your options from here on out will also be offered on the right-hand side of the screen. Of course, for our purposes today — transferring music from iPod to iTunes…You need to select the “Transfer Music to iTunes” option. 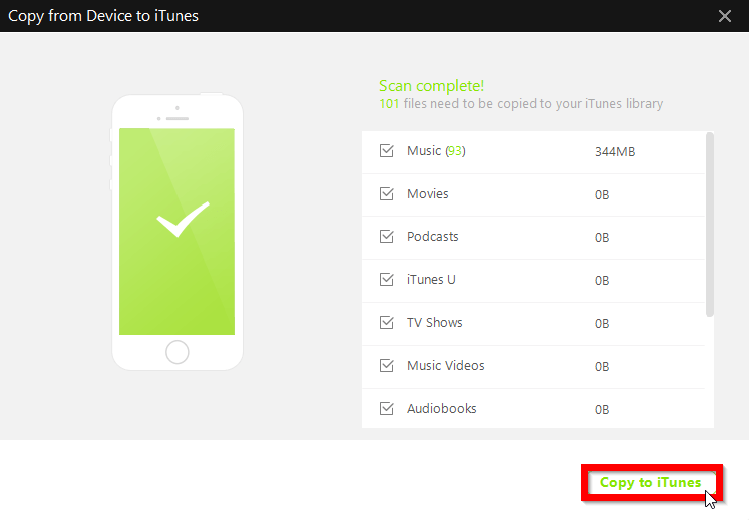 Step 4 — Device & iTunes Scan! After the scan is complete, you’ll be able to choose from the non-duplicated items on your iPod that you want to move onto your iTunes library. Simply select or de-select items as needed. 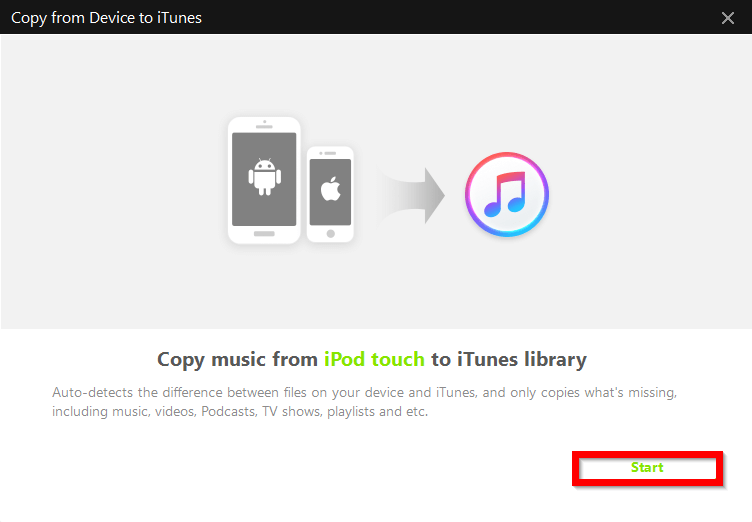 Then, finish it up by clicking the “Copy to iTunes” button on the bottom right-hand corner of the screen. Made specifically for handling Apple Music. Multiple sync methods — traditional cable, iCloud, Wi-Fi Sync, etc. Automatic transfer of purchases from iPod to iTunes. 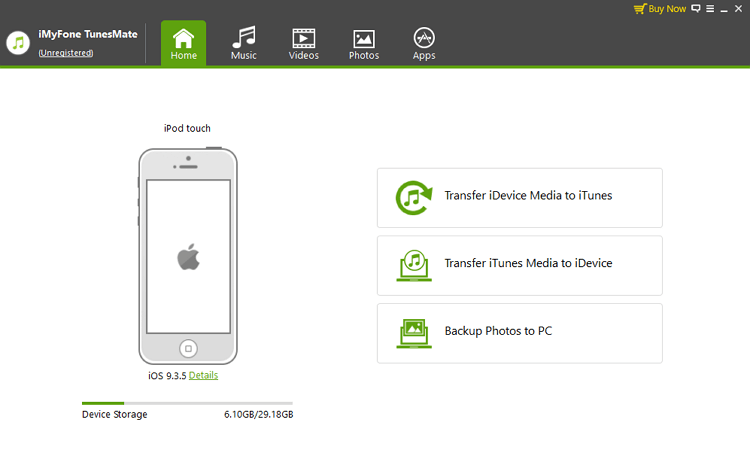 Automatic and Manual transfer available for iTunes to iPod transfer. Available on both Mac and Windows OS . As was mentioned previously, iTunes does have a fairly simple feature that you can use to transfer music from iPod to iTunes. However, this feature only works for songs that you purchase on Apple Music — songs from other sources will not be transferred at all. To automatically transfer Apple Music purchases from iPod to iTunes, right-click your device under the “Devices” section and select the “Transfer Purchases” option. If your iPod has any Apple Music purchases that are not already on your iTunes library, then it should automatically be transferred after the Sync. However, if the music from your iPod were not Apple Music purchases, they will not be transferred. There is a way of “transferring” non-Apple Music items. However, it will involve actually purchasing (or re-purchasing it) through the Apple Music Store. 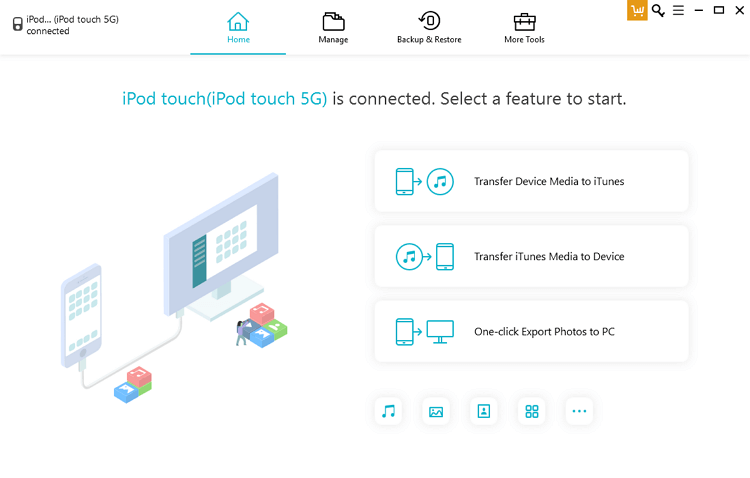 The simplest way to do this is to access your device’s library, which can be done by selecting the Device icon at the top right-hand corner of the screen. Once moved, select the Music option under “On My Device.” That will pull up all the music on your iPod. The only thing left after that is to select the song you want to transfer, right-click, and then choose the “Show in iTunes Store” option under the drop-down menu. Again, this is not actually a transfer method so much as a “re-purchase” song from your iPod method. As promised, we’re going to be introducing you to a couple of other programs that you can use to transfer your songs from iPod to iTunes on a Mac PC. These will all be a bit similar to iMusic. At least, in the sense that they are all data transfer programs and can handle two-way transfers between iTunes and iPod. Of course, we’ve included everything else you need to know about each software as well. Including the cost of each program, how they work, and the pros and cons of using one or the other. For the first program on our list, we have dr.fone. It’s been around for quite a while, but it’s been able to continue improving as the years' pass and now it looks sleeker than ever! It’s a bit of a beast, offering advanced and premium features one after another. Despite that, it does still manage to be somewhat intuitive. It’s just a matter of cost and complexity that you have to consider. Especially because it’s under a subscription program. Sleek design created for maximum efficiency. Advanced and Premium data transfer and device management tools. Quick and Efficient two-way transfer between iPod and iTunes. A free trial is available, but it is limited. EXPENSIVE subscription cost — $39.95 per year. The complexity of the numerous tools might not be suited for certain beginners. The complete opposite of dr.fone is Senuti. It’s very simplistic, offering only what it needs to offer and leaving out anything that is unnecessary. It was created to be a Mac-only program, and that really shows with its interface. Of course, just like the other transfer software on this list, it will allow you to transfer data between your iPod and iTunes library. However, its benefits don’t go past that, which is something you might prefer or not prefer — depending on how you like to transfer your data. Efficient two-way transfers between iPod and iTunes. Video and Podcast support is also available. Lacking in advanced or premium transfer tools. Syncios manages to be completely multi-functional despite the fact that it started out as a fairly basic program. It’s definitely a lot richer in features than Senuti (but a tad bit less packed than dr.fone), and the only reason it’s not the number 2 is because of its price. It manages to be one of the cheaper transfer programs available right now, but it still doesn’t quite beat the FREE Mac-only program that is Senuti. Efficient and automatic two-way transfer between iPod and iTunes. Premium toolkit for advanced transfer management. A free trial is available however it is quite limited. The full program costs $29.95 . There are also reports that non-music data transfer tools don’t work as well and can end up being quite buggy or laggy. iCareFone is actually extremely similar to the software that precedes it on this list. The only difference is the fact that iCareFone offers just a tad bit more when it comes to data-transfer features. It was built to be very simplistic, similar to iMusic in fact so that there would be no confusion as to what you can do with it. It’s also amazingly efficient when it comes to actual data-transfers. The only downside, again, is the cost. Efficient with multiple-types of data-transfer procedures. Full restoration tools available in case of data corruption . Premium toolbox with advanced tools for management of transferred data. A FREE trial is available but is limited. The cost of the subscription is at $39.95 per year, while the cost of the full license is at $49.95 — definitely more expensive than some of the other options available. The interface is not as clean or sleek as it could be — especially when considering the premium price. As mentioned, iMyFone is fairly similar to iCareFone. This is true in both the cost and the basic interface design. In some ways, the iMyFone software cuts back on things, offering a more simplistic interface — which may or may not work better for you. Other than that, however, there’s not much to say about it that hasn’t already been said for the other programs listed above it. Efficient two-way transfer between iPod and iTunes. Transfer options available for other types of media. A very basic and simplistic design. A FREE trial is available but highly limited. It’s simple in design and lacking in features that other programs above it are not. Conclusion: Thus, ends our compilation of programs that you can use in order to move songs from iPod to iTunes on Mac. As you no doubt would have learned, it actually can be pretty easy if you have the right tools for the job. Of course, for that, we’d recommend checking out the iMusic program first and foremost. After all, out of all the ones we introduced, it is the most efficient at what it has to do.